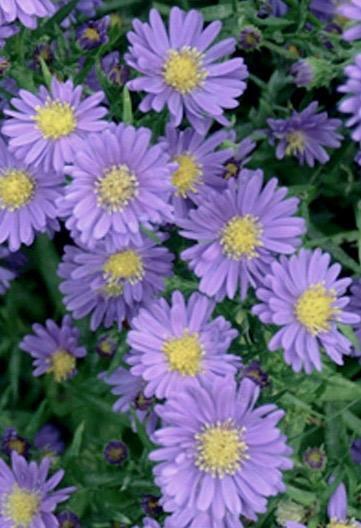 Rarely offered michaelmas daisy. Compact lance shaped mildew resistant foliage. Branching spikes of single/semi double mauve flowers, September to October. Sun or semi shade. 75cm tall.